Mostly customers preferred to purchase quality products, so we are involved in providing Landline Phone. 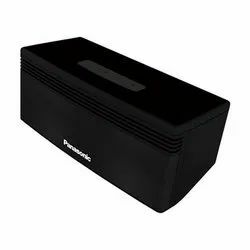 We supply and export a wide array of Panasonic Speaker. These excellent surround sound speaker are easy to install and adjustable. The low profile (only 60 mm deep) will keep your speakers nice and close to the wall which not only looks better but also helps to improve high frequency dispersion characteristics. So as to accomplish high level of customer trust, we are keenly betrothed in offering a broad consignment of Panasonic Speaker Telephone. These are made-up using finest-grade material at well-armed fabrication unit. Presented products are reviewed on pre-defined constraint of quality for confirming their durability. 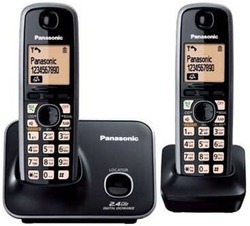 The Panasonic KX-TS730 is a full digital duplex conference speakerphone with 120 minutes of digital conference recording, letting you concentrate on the conversation, rather than writing endless pages of notes. In addition, it also provides a 3.5 mm audio jack to output recordings to cassettes or computer as a wave or MP3 file.